We started the day reflecting on the work from day 1. A number of teams shared their learnings from day 1. The day provided productive time to work on their prototype. What they learned is that different types of chairs were designed depending upon the user they were assigned. 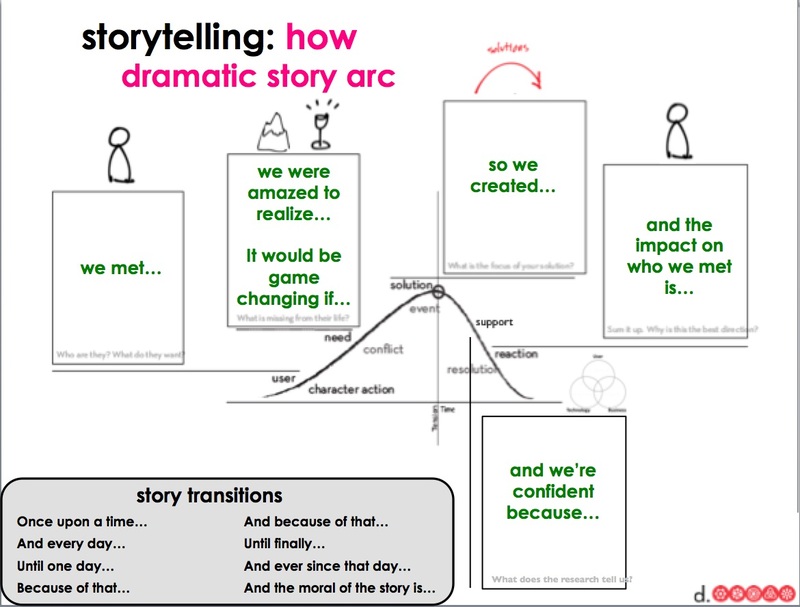 They felt positive about the storytelling exercise and thinking about their design challenge as a story that has unfolded. We then went into a session on defining what it means to build a design thinking mindset. What are the elements (see image below) that go into a team or an individual building a mindset that promotes a culture of design thinking? The teams were asked to apply their understanding of the mindset elements to a series of hypothetical activities. The teams ran through a series of three activities. After each activity, we processed what was learned in the conversation. Scott Sanchez (@jscottsanchez), our design facilitator, engaged all teams in the sharing time. 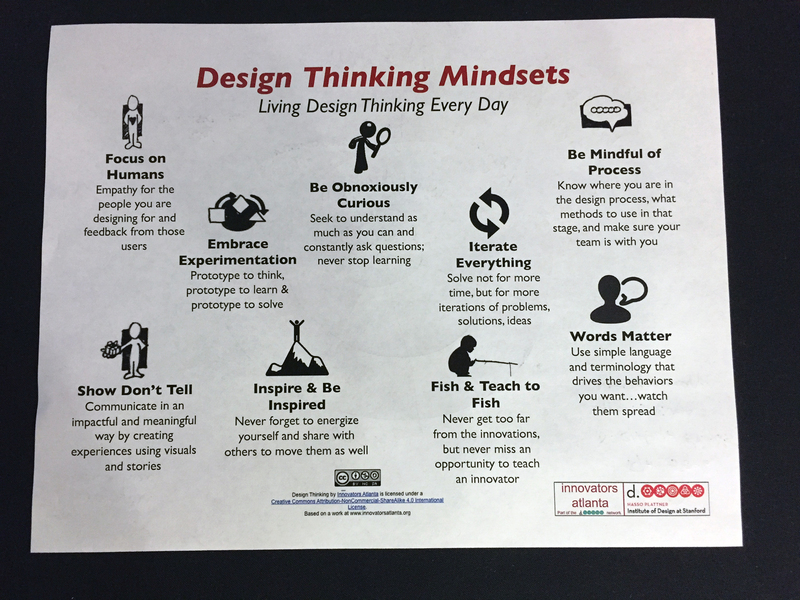 One team member from Westminster Schools, Peyten Williams, indicated that the nine elements for a design thinking mindset are an instructive tool to think about how to be a good teacher. The large group conversation on developing a design thinking mindset was a lively and instructive time for everyone. (see Storify summary of this part of day 2 summit). After working on constructing their stories, design teams were paired up to test their story on another team and receive feedback. Using the feedback they prepared for their final presentation of their story after lunch. There was a good deal of energy in the room, as well as some nervousness about getting all the data together into a five-minute story. Quite a task! The following link to a Storify synopsis of Twitter links during the storytelling time (click here) will give you some sense of what was accomplished. We videotaped the whole day and captured all eleven stories, which will be posted on the website in the coming weeks. Here are a few highlights as well. It was clear from storytelling that all eleven teams accomplished a great deal along their journey. They all recognized that design thinking has been, and will continue to be, a highly successful tool for helping schools innovate the challenges they face. 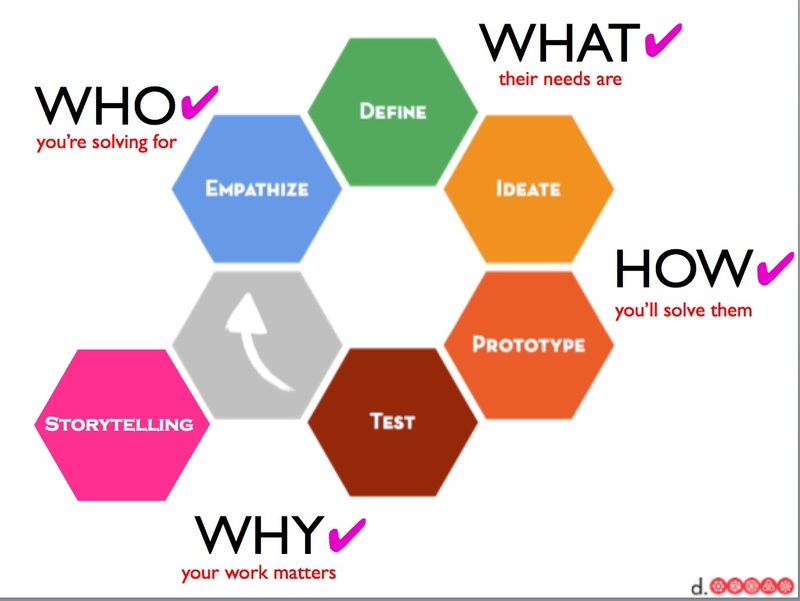 While it may not be the only process a school uses to address challenges in the 21st Century, it is a process that helps a school build empathy with its users, such as parents, students and faculty, and then applying that understanding to defining, prototyping, iterating, and testing solutions to the challenges (see graphic below). In addition, when the process is used with fidelity it builds a collaborative culture in which people find common goal and shared values. One of our primary goals in AK12DC is to build and sustain a design thinking mindset (see above) with members of our design teams. Preliminary data from Summit 2015 suggests we are making great progress towards this goal. We wrapped up Summit 2015 with 70+ participants forming a circle and be christened by Scott Sanchez as Stanford d.school design thinkers.